Rabbi Yitzi Hurwitz is a husband. A father. A son. A brother. A friend. A Rabbi and Shliach of the Lubavitcher Rebbe. He loves his family and his work with every essence of his being. Each one of those parts have molded him into the special and amazing man he is today. Rabbi Yitzi has ALS (Lou Gehrig’s Disease), one of the cruelest diseases I have ever known. 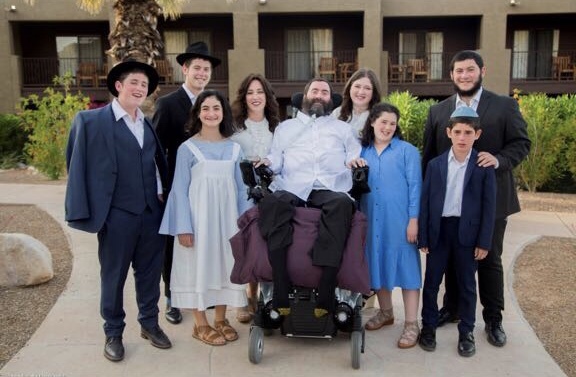 Rabbi Yitzi can no longer speak, walk, or hug his children. On life support and confined to his bed, his only means of communication and outreach is done through his Tobii Computer (eye movement recognition). Dina is a Mom. A wife. A sister. A daughter. A friend and a Shlucha of the Rebbe. She works tirelessly to fulfill all these roles, as well as being a loving caregiver to her husband, Yitzi. Dina does it all with the most unique sense of humor and grace. I know Dina personally and she is so much more. She is a rock, she is a mountain and she is human. 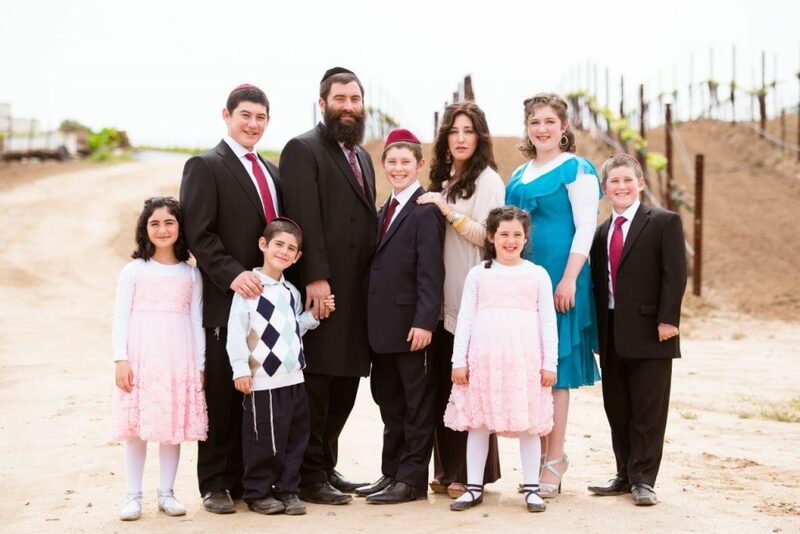 Yitzi and Dina are married for 22 years and have 7 beautiful and equally talented and loving children; Fruma, Moshe, Eli Chaim, Mendel, Chava, Mussie and Sholom. Yitzi and Dina are one of the MOST dynamic, insightful, hard working teams I know. Their outreach has spread around the entire globe. Both have touched the lives of so many people it’s nearly impossible to describe. Their sense of humor is as constant as their ability to help anyone in need. Both of them have blogs which they post on regularly. Yitzi posts about the Torah portion every week with the use of his Tobii. For four years now Team Yitzi has been running the Miami Half Marathon to raise money for the Hurwitz Family Fund. Just as Rabbi Yitzi’s medical expenses have grown tremendously so has the heart and soul of this team. This year, our fifth year running, we are raising the goal to $100,000.00!